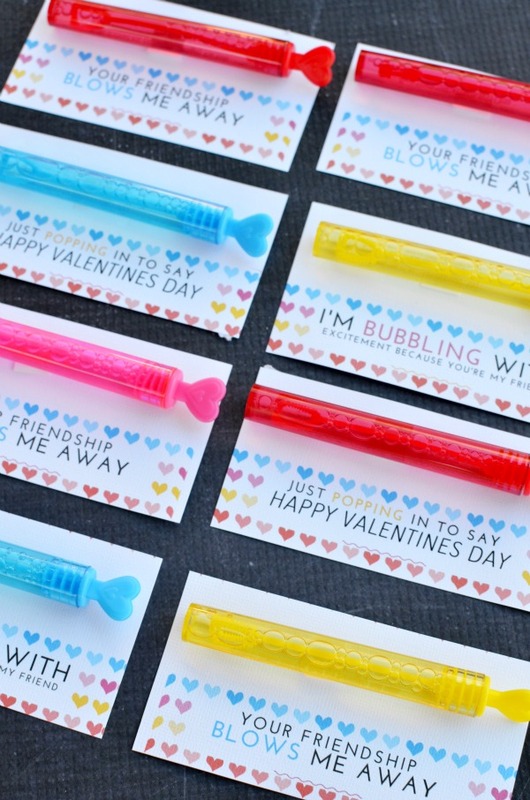 Are your kids bubbling with excitement for Valentine’s Day? 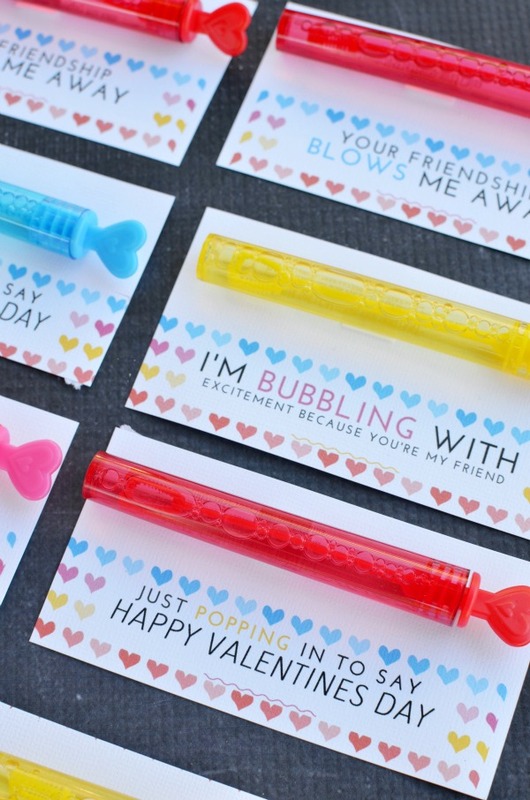 I have another fun non-candy Valentine idea today, bubble Valentines. I don’t know about you, but my kids love bubbles. And let’s be honest most adults can’t resist blowing bubbles either. 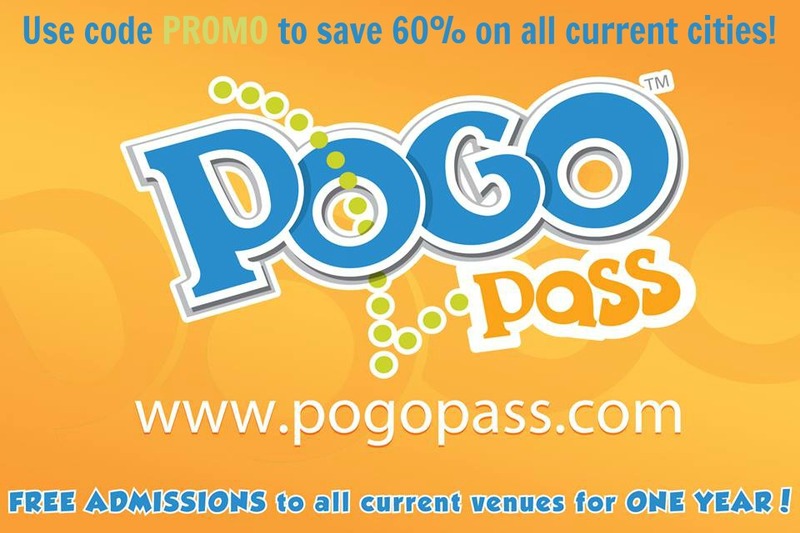 There’s just something that creates wonder in children’s eyes as they dash about popping and catching them. 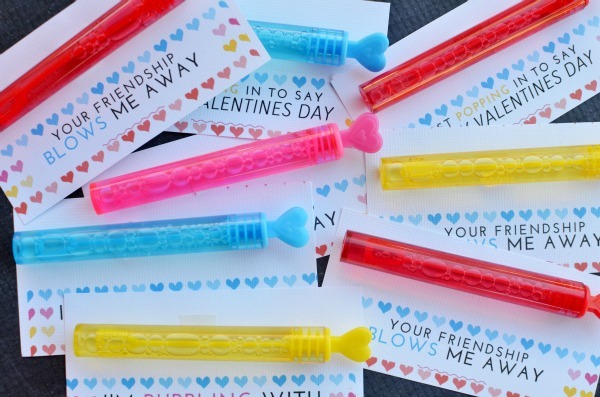 I picked up these colorful heart bubble wands at Target in the Valentine favor section. Target has been a gold mine for quality Valentine toys and favors this year. All you need is my printable and some bubbles. Originally I attached them with double sided tape as pictured, but I would suggest using some twine. 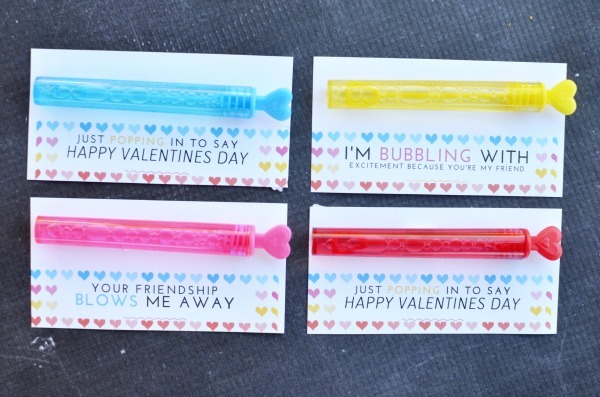 Just print, cut, add 2 hole punches at the top of the card about 1/2″ apart, then tie the bubbles on. 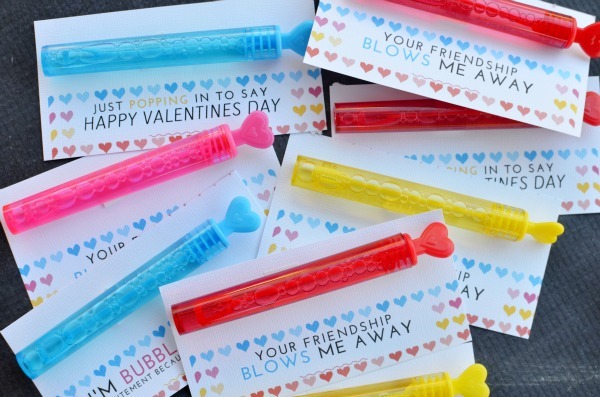 These bubble Valentines will surely blow your friends away!